Teaming Up with Eddie Eagle! The Eddie Eagle GunSafe program is a gun accident prevention program developed by a task force made up of educators, school administrators, curriculum specialists, urban housing safety officials, clinical psychologists, law enforcement officials, and Nationa Rifle Association firearm safety experts. It began in 1988 with one mission: teach children four simple, easy to remember steps so they know what to do if they ever come across a gun – Stop; Don’t Touch Leave the Area; Tell an Adult. People educated about stranger danger, internet safety, fire drills, and more with children, so why not include gun safety? The program makes no value judgements about firearms, no firearms are ever used, and it covers an important topic that needs to be addressed with kids. Like swimming pools, electrical outlets, and matchbooks, firearms are simply treated as a part of everyday life. With firearms found in about half of all American households, it’s a stance that makes sense. According to the National Center for Health Statistics, fatal firearm accidents in the Eddie Eagle age group have been reduced by over 80% since the program’s nationwide launch. 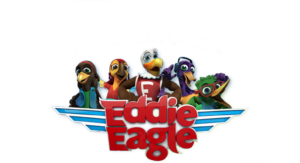 The NRA believes that gun accident prevention programs such as Eddie Eagle are a significant factor in that decline. Saving Lives Through Ryan teaches this program in partnership with local law enforcement. you can contact SLTR for materials and class scheduling.